The current chapter outlines children’s transition from an intuitive understanding of spatial extent in infancy and toddlerhood to a more formal understanding of measurement units in school settings. 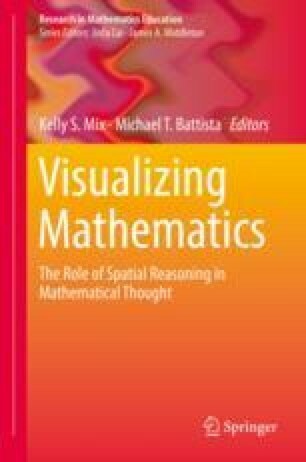 In doing so, the chapter reveals that children’s early competence in intuitive spatial thinking does not translate directly into success with standardized measurement units without appropriate scaffolding and support. Findings from cognitive science and education research are integrated to identify (a) the nature of children’s difficulties with measurement units, (b) some effective instructional techniques involving spatial visualization, and (c) suggestions for how instruction could be further modified to address children’s specific conceptual difficulties with standardized measurement units. The chapter ends by suggesting that the most effective instruction may be that which directly harnesses the power of children’s early intuitive reasoning as those children navigate the transition into a deeper conceptual understanding of standardized units of measure.